It makes business sense for the private sector – including agriculture – to play a long-term role in Water Framework Directive (WFD) delivery. Through WaterLIFE, it became clear that many catchment partnerships and other environmental groups did not fully understand the potential roles of business and also wanted to help them become involved in the Catchment Based Approach. 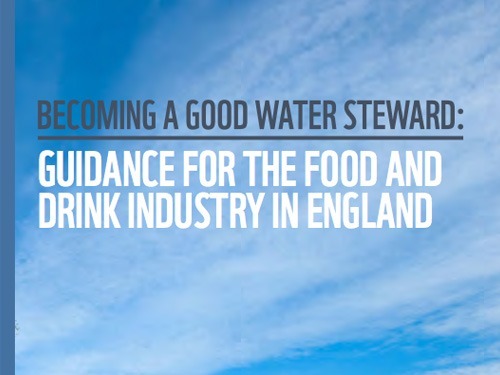 As part of the project, we have produced guidance and tools to help catchment partners and others engage business – from farmers to food and drink and manufacturing organisations. The focus has been making the business case for engaging business in the water environment, as the tools and resources below. This report provides recommendations on the "engagement language" with businesses in the UK. Catchment Partnerships can use the WWF Water Risk Filter to engage businesses by assessing risks in their operations or supply chains. It can also help groups identify which businesses they should be engaging. The Environment Agency’s Catchment Data Explorer is also a useful tool which offers access to information about the health of catchments and what sectors are responsible for any harmful impacts. 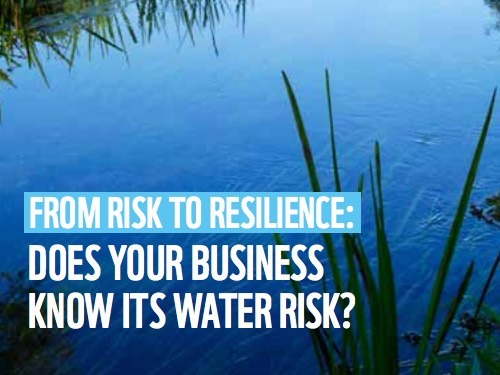 The From Risk to Resilience report focuses on how water risks are already affecting businesses and ways in which companies can contribute positively to reducing them. It sets out the rationale for action, both in the UK and internationally, and offers practical advice and case studies which describe how businesses can become better water stewards, and how collaboration with catchment partnerships and other groups is crucial to improving water management. Concern that such schemes will bring increased bureaucracy and sets out solutions for working with farmers to overcome these challenges. 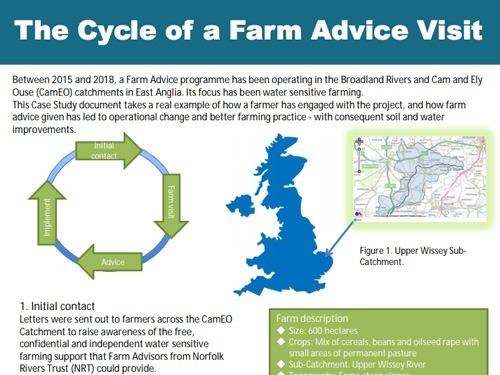 Engaging farmers, and getting them to act on farm advisor advice, was central to our work in our Broadland and CamEO Demonstration Catchments. This write-up of a real-life engagement shows how farm advice led to operational change and better farming practice on an arable farm – with consequent soil and water improvements. 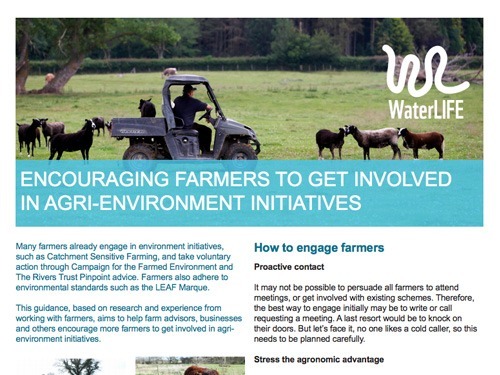 In the CamEO demonstration catchment, we developed a specific targeting strategy for Water Sensitive Farming Advice. This involved developing a series of maps to characterise the catchment and the provision of ecosystem services, followed by more detailed mapping and modelling to identify the areas that present the greatest opportunity to mitigate the impacts of Diffuse Water Pollution from Agriculture (DWPA). This report outlines our approach, from developing the map outputs to follow up 1-2-1 farm advice to identify appropriate intervention opportunities. Run-off from agricultural land can be a significant source of sediment load to watercourses. This not only silts up gravels essential for fish breeding but also contributes to Phosphorus and Nitrate pollution. In WaterLIFE’s East Anglia Demonstration Catchments, silt trap farm interventions were delivered in conjunction with landowners to address specific run-off issues. A case study from three linked traps on the River Wensum has been produced to show the socio-economic benefits that silt traps can deliver. 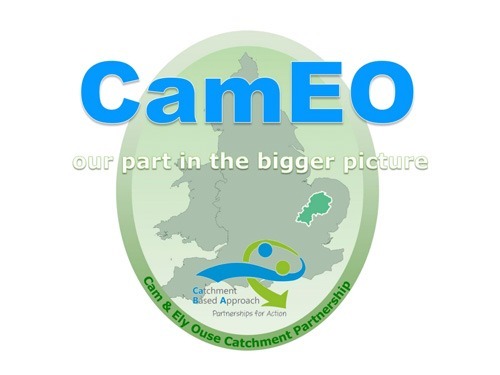 Water companies are key organisations for catchment partnerships: they both supply water for domestic and business consumption, plus provide a wastewater disposal and treatment service in the catchment. Developing and fostering a collaborative working relationship with your local water company is crucial. This guidance, generated from some CaBA water industry workshops, will help you understand water company business planning, environmental outcomes they can deliver, and the Price Review (PR) process under which they operate with Ofwat.